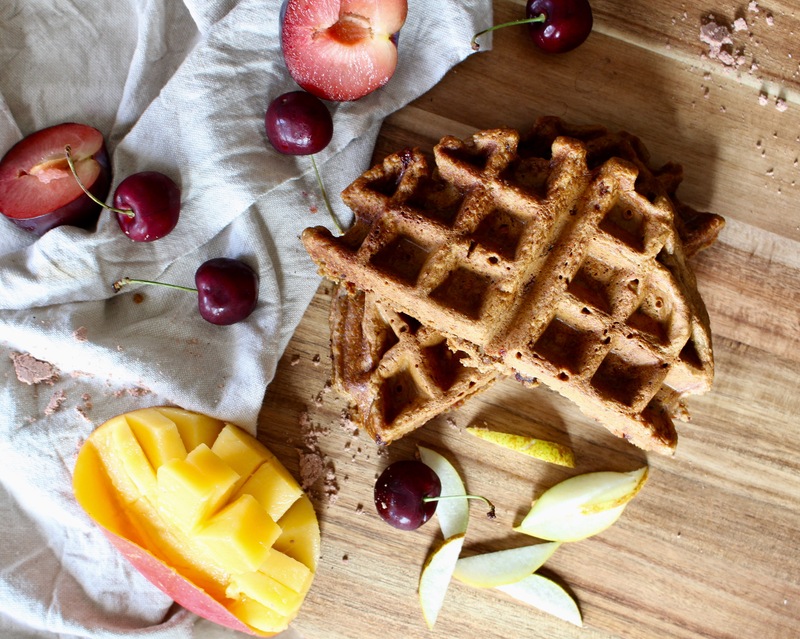 There is no time that can’t be turned into waffle time! Making waffles at home yourself is a great way to have a healthy breakfast that fills you up and let’s you break up your routine from your regular weekday go-tos. 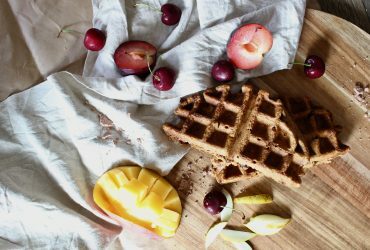 These waffles make use of seasonal fresh plums, are made with whole grain ingredients and have a slight tartness thanks to the addition of Riberry. 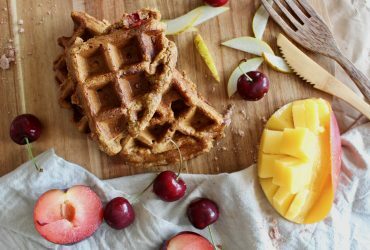 Whether you have them for breakfast, or make up a batch to pop in the toaster and have for snack, these waffles are an easy to make option that might just become your new favourite. 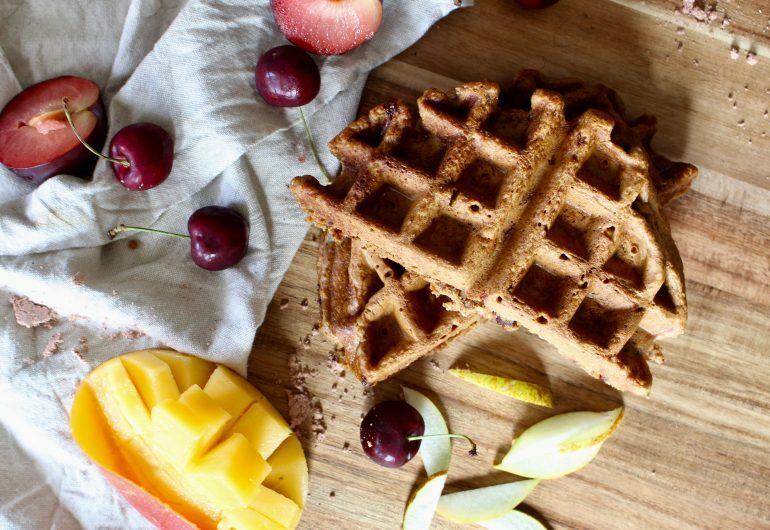 Don’t have a waffle maker? Turn them into pancakes instead! Add one cup of oats to a blender and grind into flour. 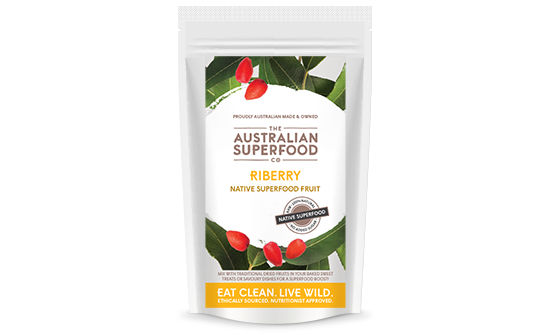 Add to a bowl with whole oats, whole wheat flour, wheat germ, sugar, riberry and baking powder. Stir to combine. Meanwhile, soak dates in boiling water for 10 minutes, or until soft. Add dates and soaking water to a blender with milk and blend until dates are ground up. Add the date mixture to the flour, and stir to combine. Fold in plum, mixing just until incorporated. Meanwhile, heat waffle iron, spray lightly with olive oil cooking spray, and spoon in waffle batter. 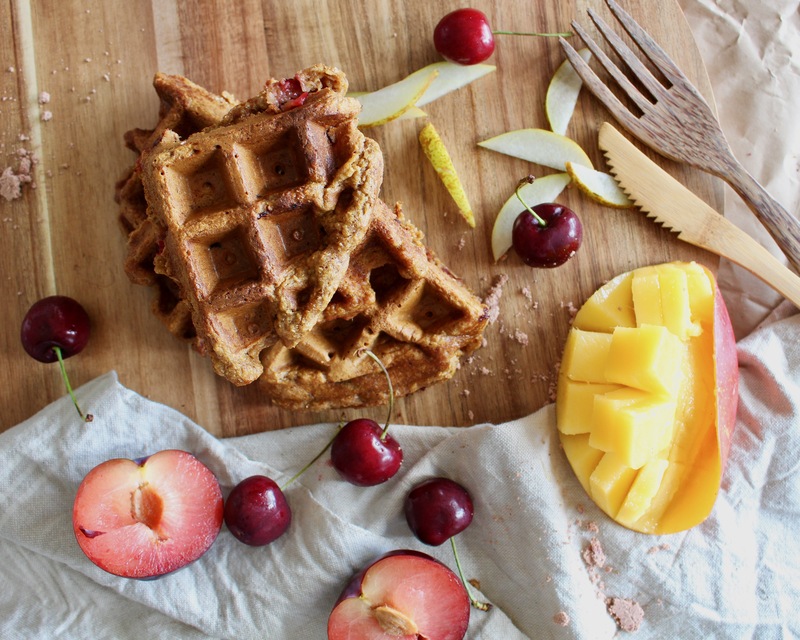 Cook according to waffle maker directions and then remove and serve with your favourite fruit and healthy toppings!